On behalf of our members representing over 1 million jobs in New Jersey, the New Jersey Business & Industry Association (NJBIA), respectfully OPPOSES S-3202 (Lagana, Gopal). This legislation requires hospitals to provide breast cancer patients with information concerning reconstructive surgery, prohibits certain provisions in managed care plan contracts. 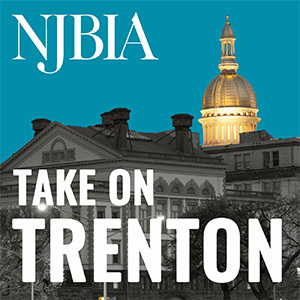 NJBIA is concerned that this measure would increase costs because of out-of-network expenses. Out-of-network healthcare provided to patients continues to be more expensive to both the patient and the health plan. Typically, private insurance plans offer customers health benefits provided by a network of doctors, hospitals and other facilities, who in turn agree to receive negotiated reimbursement rates from the plans in exchange for being covered by the plan. NJBIA places a strong and consistent focus on the quality and affordability of health insurance in New Jersey. The cost of providing health coverage to employees is one of the most significant challenges facing employers today. It is consistently ranked the number one concern facing our members in our annual NJBIA Business Outlook Survey. According to the 2018 NJBIA Health Benefits Survey, members, on average are spending $8,292 annually for employee-only plans. That’s compared to $7,044 for the same expenditures in 2016 – nearly an 18 percent overall increase. For these reasons, we respectfully oppose this legislation. Thank you for your consideration of our comments.